A Resource Page That Food Bloggers Can Use To See The Products And Services That I Use With My Blog. A Fantastic Source For Food Bloggers Everywhere. Still Far From A Comprehensive Food Blogger Resources Page, But Has Valuable Resources And Is Ever Evolving. Food Bloggers: 150+ Links To Everything You Need To Know. 40 Awesome Case Studies For Bloggers And Internet Marketers. How To Get Organized With An Editorial Calendar – It’s Easier Than You Think! SEO: What Are NoFollow And DoFollow Links? Working With Brands: Pick Up The Phone! Lowell Ego Digital Imaging Fluorescent Light Unit I Quickly Learned From The Tasty Food Photography Ebook About The Importance Of Good Lighting For Food Photos. Alas, As I Write This Page In The Waning Days Of November, There’s Not Any Nature Light To Be Had Come Dinner Time. This Light Unit Helps Us Still Manage To Still Get Some Tasty Photos Taken When The Sun Has Set. Tasty Food Photography Ebook Created By Lindsay From Pinch Of Yum Was A Huge Step In Improving Our Photos Here At Cooking Chat, And Thus Features Prominently On This Food Blogger Resources Page. Well Worth The $19 For Us! Using The Book As A Guide, We Took The Plunge On A “Real” Camera (Will Add Some More About That Later) And Other Tools. 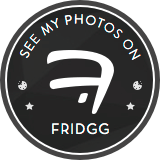 Since Doing So, We’ve Been Getting Accepted To The Highly Selective Food Photo Sites With Some Regularity–See For Instance Our Tastespotting Gallery. More Important, The Photos Look So Tasty–Don’t You Just Want A Bite Of That Turkey And Butternut Squash Stew To The Right? There Is Also A New Resource Available On Taking Food Photos With Artificial Lighting Available Through Food Blogger Pro. Tiger Hospitality Search – A recruitment agency specializing in finding jobs for professionals working in the hospitality industry. Cooking School – Cook Street School of Fine Cooking offers an accelerated Professional Food & Wine Career Program, recreational cooking and wine classes for students of all skill and experience levels. Software Informer – Software Informer is a service for sharing information about programs installed on your PC. www.RecipeLand.com – Giant recipe collection. Fast, easy free and fun recipes at your fingertips. Recipe reviews, cooking tips and more. Serving visitors since 1996 with over 40,000 recipes. Escoffier OnLine – Culinary Portal for Chefs and Cooks, Food Professionals, Culinary Students and Foodies. Cooking Connect – a web directory for food lovers. Chef Talk provides excellent resources for professional chefs and cooks. These resources include educational tips, culinary books and a substantial recipe archive. The site’s Chef Talk Cafe Discussion Board is very popular, attracting many foodservice professional for job hunting tips, recipe exchange, general “Chef Talk”, and of course, gossip! Spectrum Chef’s aim is to become their client’s first and only approach, whenever they are looking for any recruitment matters within the hospitality industry. CFO Business Growth Solutions, LLC – A leading provider of effective, scalable CFO services for emerging, middle market and venture capital-backed companies. The Virtual Salon Culinarians provides a mechanism for chefs, cooks and kitchen artists throughout the world to encourage them to show and be recognized for exceptional skills and excellence in edible food art and food presentation. WACS – The World Association of Cooks Societies.